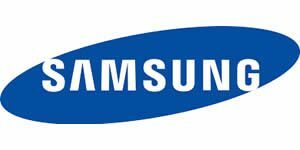 The Samsung brand is recognized as one of the world’s leading intuitive product design companies and one of the world’s top electronics producers. 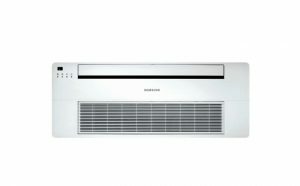 Samsung DVM S system air conditioners have been designed with the same passion for innovation and quality that has helped make Samsung one of Interbrand’s 2014 best global brands. 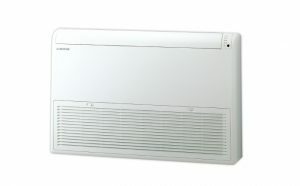 Samsung system air conditioners are held in high esteem around the world and have been selected for a multitude of applications, including shopping centers, airports, stadiums and hotels. Samsung provides eco-friendly air conditioners and air solutions that help prevent global warming and contribute to resolving energy shortages. Samsung air conditioners reduce air pollution and provide comfortable cooling with minimal power consumption, saving the environment and costs. 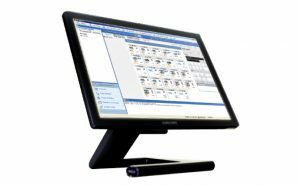 Samsung DVM S system’s robust design offers the strength and reliability to ensure consistent performance at all times. Their perfectly synchronized parts offer balanced operation for improved durability and longevity.All Samsung DVM S systems are backed by a 10 year warranty that includes the compressor and all parts. The warranty also includes 1 year limited for labor. Variable Refrigerant Flow (VRF) systems are a smart solution for commercial and large residential buildings that demand higher efficiency, individualized control and installation flexibility. Variable Refrigerant Flow (VRF) systems are a smart solution for commercial and large residential buildings that demand higher efficiency, individualized control and installation flexibility. Advanced heat recovery combines heating, cooling and ventilation processes for increased energy efficiency and lower operating costs. In addition, VRF technology supports zone control which enables users to adjust individual climate settings to suit their personal comfort preferences. Design Flexibility – at 16 tons, the large-unit capacity of DVM S facilitates economical installation with a smaller footprint and lighter weight – an ideal solution for larger buildings. Refrigerant Distribution Control – DVM S allows for exceptionally long piping distances between outdoor and indoor units and compensates for those distances by providing balanced refrigerant distribution. The individual indoor units perform capacity connection control and automatic refrigerant balancing to ensure balanced performance between the units. Installation flexibility – DVM S provides extended piping length of up to 722 ft and installation height of up to 361 ft, offering businesses more installation options. Simultaneous Cooling and Heating – Single outdoor units can operate all indoor units in both cooling and heating mode. They can also simultaneously operate in cooling and heating mode, when necessary, providing operational freedom. 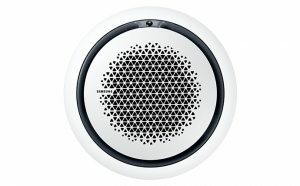 The World’s First True Circular Cassette with an innovative 360 degree airflow ensures optimal air conditioning which also eliminates dead zones. Its full-circle design allows it to be placed beautifully in any setting. The 360 Cassette has both black and white fascia panels available. The 360 Cassette comes in 2 distinct styles, a fully circle fascia panel and a square fascia panel. Samsung’s Slim 1 Way Cassette is an optimized air solution that suits both practical and aesthetic needs with its simple design and efficient cooling operation. Samsung has been rewriting product descriptions that go beyond industry standards. 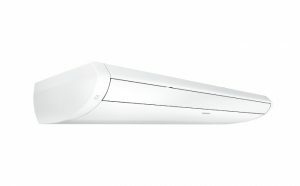 As one of Samsung’s newest products, the Samsung Big Ceiling is focused on sending sufficient amounts of conditioned air to distant places to cover large areas with its long air throw. Samsung’s Ceiling Type indoor unit has 2-way installation options for the ceiling and floor, enabling more efficient use of available space. The DVM S control system offers convenient, centralized control of individual indoor units or entire groups of multiple units. Using a variety of controls, users can centrally manage and control multiple functions for the units. S-NET 3 manages a group of buildings through Data Management Servers (DMS 2) that individually manage each building. This Internet-based management system supports flexible, complete control of a wide variety of applications. 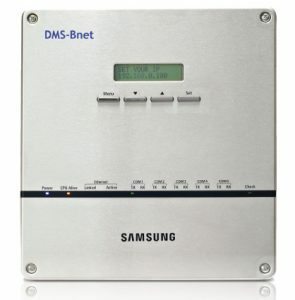 Samsung’s BACnet gateway makes it easy to control the air conditioning network in various ways by integrating into your building’s building management system. 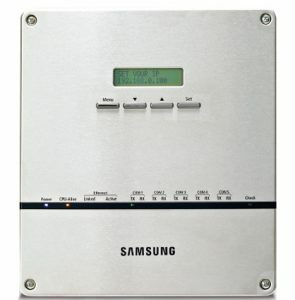 The Samsung BACnet gateway can control up to 256 indoor units, and can be used in combination with S-NET 3 and the central Touch Screen Controller.